If you were one of the lucky 100 people to score a House Special Knitmore Girls Subscription Box from Bar-Maids - heads up! For a limited time, you can download a free digital copy of the Fractual Danger pattern designed by Martina Behm that was included in the box. Contact Bar-Maids to request your digital download and they will provide you with a custom code and link for a direct download. The code is good only until December 31, 2015 and only one code will be provided to each subscriber. 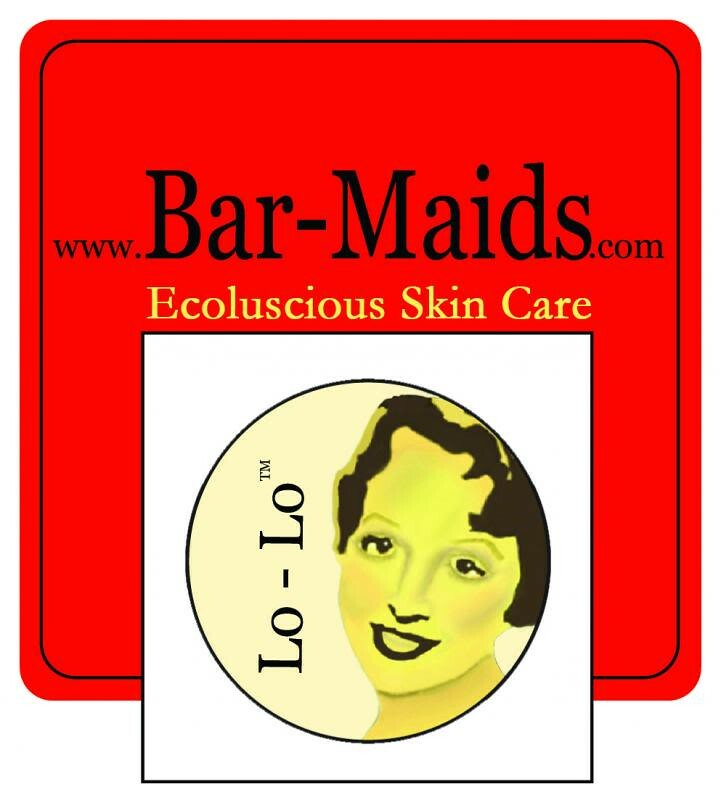 Write Bar-Maids at: lo-lo@bar-maids.com or call them at 360.573.6033. PS. There are a few Awesomeness Boxes available. If you haven't snagged one, do so before they are gone! Erin Lane took the plunge and has left Etsy. If you are looking for your favorite organizational goodies, you need to stop by the ALL NEW Erin.Lane Bags.com. The new site is loaded with great features. You can "invest in Hank's Bank" to earn rewards towards great discount codes, you can refer friends to help spread the word, and you can find out where to find Erin.Lane next (Stitches Midwest August 6-9). Basically, all the amazing things you want, all in one place! Come on down and meet Hank; he's dying to help you get organized. Jasmin is working on two Playful Stripes cardigans, one for Genevieve, and one for Beanzilla, since she is replacing Genevieve's old Playful Stripes. Jasmin is knitting the Playful Stripes on Knitter's Pride Karbonz Deluxe Interchangeable needles which we will review in a future episode. She mentions Monkeysuits . On the way to Eugene, Jasmin cast on the Spectral cowl out of yarn from the now defunct Cephalopod Yarns. We are all excited about the gradient yarn kits from Black Trillium Fibers that we saw at the Black Sheep Gathering. Gigi is excited about the Viajante, in Kilimanjaro yarn from Miss Babs #behmalong she is also excited about working on the Fractal Danger shawl by Martina Behm, (#behmalong) out of Abstract Fiber Supersock + in the Danger colorway. Gigi's one FO is a preemie hat. Gigi is excited about knitting a pair of socks out of Regia 6-ply Stripemania that are growing at an amazing speed. She is also working on the Selvedges cardigan out of an old Knit Wear Magazine # 1 , out of an alpaca yarn with a large gauge. We mention Voolenvine's Video Beading tutorial. We have a new prize! A skein of Canon Hand Dyes in George Merino base DK in the "You Really Must Get some Flounces" Jane Austen colorway. This week we answer a question from the "What do you want to hear about?" thread in the forum about getting measured. 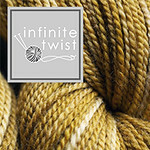 Jasmin watched the Lucy Neatby Intarsia DVD s and mentions Custom Fit Qualified yarn stores. Let us know about measuring/getting measured by the Custom Fit team. Gigi cast on too many stitches for her Geek socks. Jasmin accidentally used Gigi's waste yarn for a provisional cast on and the piece was too short. and Lucy Neatby's The Brand New Knitter DVD. Week 6 of Tour de Fleece training: find your support network. Gigi weighed her fiber into 25g nests. 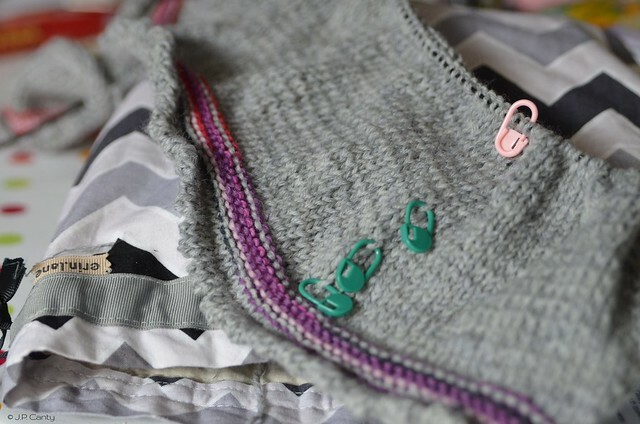 Gigi has started on a garment from Sew Many Dresses, Sew Little Time: by Tanya Whelan. She thinks the master patterns needed more detail, like the Burda magazine patterns. Thank you for the beautiful creation you have presented and really it will help me a lot in implementing my creation.